In the music industry, arguably the worst tragedy that can befall an artist is to die in his or her prime, when just beginning to break through to the mainstream and reach people on a national or international level. One such artist was Jim Croce, a songwriter with a knack for both upbeat, catchy singles and empathetic, melancholy ballads. Though Croce only recorded a few studio albums before an untimely plane crash, he continues to be remembered posthumously. Croce appealed to fans as a common man, and it was not a gimmick -- he was a father and husband who went through a series of blue-collar jobs. And whether he used dry wit, gentle emotions, or sorrow, Croce sang with a rare form of honesty and power. Few artists have ever been able to pull off such down-to-earth storytelling as convincingly as he did. 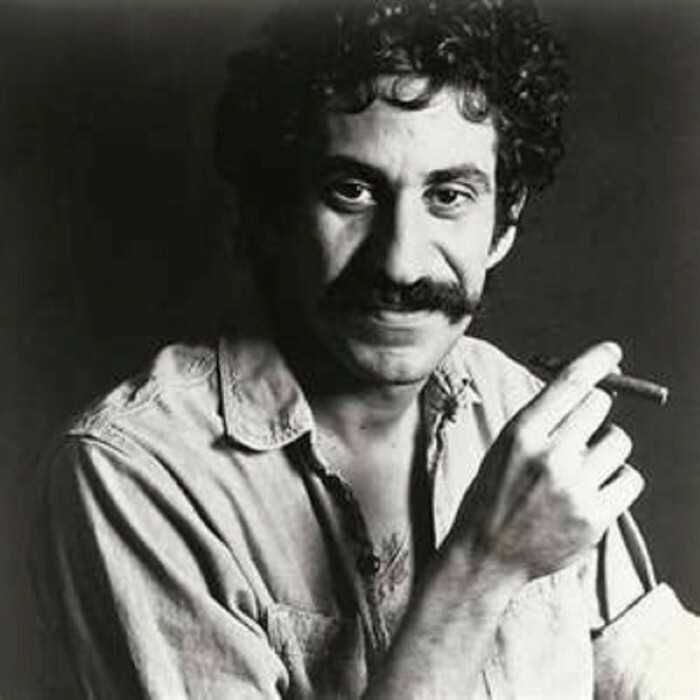 James Joseph Croce was born in Philadelphia, Pennsylvania, on January 10, 1943. Raised on ragtime and country, Croce played the accordion as a child and would eventually teach himself the guitar. It wasn't until his freshman year of college that he began to take music seriously, forming several bands over the next few years. After graduation, he continued to play various gigs at local bars and parties, working as both a teacher and construction worker to support himself and his wife, Ingrid. In 1969, the Croces and an old friend from college, Tommy West, moved to New York and record an album. When the Jim and Ingrid record failed to sell, they moved to a farm in Lyndell, Pennsylvania, where Jim juggled several jobs, including singing for radio commercials. Eventually he was noticed and signed by the ABC/Dunhill label and released his second album, You Don't Mess Around with Jim, in 1972. The record spawned three hits: "You Don't Mess Around With Jim," "Operator (That's Not the Way It Feels)," and "Time in a Bottle," the latter ultimately shooting all the way to number one on the Billboard charts. Croce quickly followed with Life and Times in early 1973 and gained his first number one hit with "Bad, Bad Leroy Brown." After four years of grueling tour schedules, Croce grew homesick. Wishing to spend more time with Ingrid and his infant son Adrian James, he planned to take a break after the Life and Times tour was completed. Tragically, the tour would never finish; just two months after "Bad, Bad Leroy Brown" topped the charts, Croce's plane crashed in Natchitoches, Louisiana. Croce and the four other passengers (including bandmember Maury Muehleisen) were killed instantly. Croce's career peaked after his death. In December of 1973, the album I Got a Name surfaced, but it was "Time in a Bottle," from 1972's You Don't Mess Around with Jim, that would become his second number one single. Shortly afterwards, "I'll Have to Say I Love You in a Song" reached the Top Ten. Several albums were released posthumously, most notably the greatest hits collection Photographs & Memories, which became a best-seller. Several other compilations were later issued, such as the 1992 release The 50th Anniversary Collection and the 2000 compilation Time in a Bottle: The Definitive Collection. Listening to the songs Croce recorded, one cannot help but wonder how far his extraordinary talents could have taken him if he would have lived longer. Unfortunately, such a question may only be looked at rhetorically, but Jim Croce continues to live on in the impressive catalog of songs he left behind.